Insane Veinz is a pre-workout supplement made by Sports Asylum Nutrition. It's priced at £29.99 ($38) for 30 servings, and comes in 2 flavors - Cherry and Sour Jelly Bean. 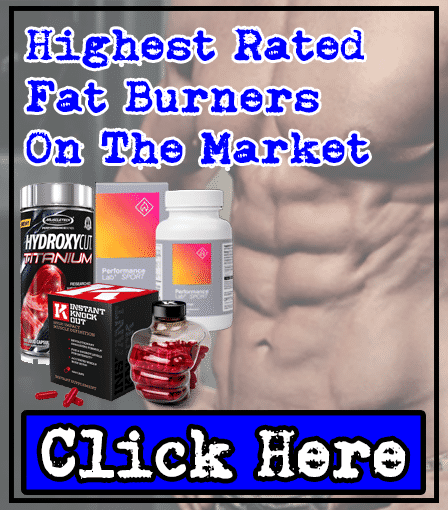 Sports Asylum Nutrition are a supplements company based in Cheshire (UK). 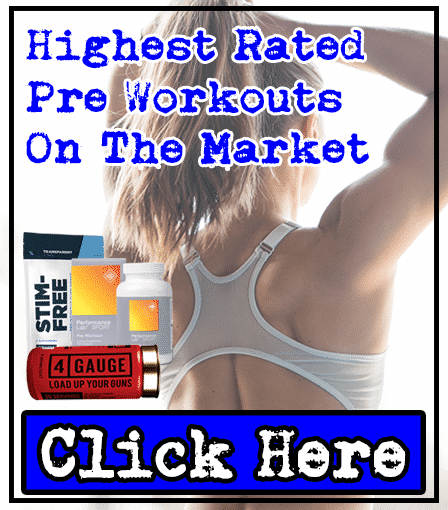 They market a range of products, from whey protein to pre-workouts. We couldn't find any information about their shipping policies, or whether they manufacture in America - if they don't have manufacturers in the USA, then customers in USA, South America, or India might have to wait a long time for their purchases to arrive. 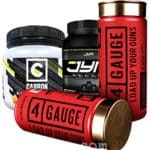 This is a relatively unknown company, but they put a big price tag on their supplements; putting them in direct competition with some of the best pre-workouts on the market. Read on to find out how effective Insane Veinz by SA Nutrition is. Insane Veinz by SA Nutrition contains 10 ingredients, but it's important to know whether they're effective or not - so you can see if this pre-workout will provide any benefits. One thing we like about Insane Veinz: it doesn't contain any proprietary blends. What are proprietary blends? They're a mixture of numerous ingredients that companies often use to reduce costs - these blends are usually filled with cheaper ingredients or low doses. One thing you have to remember: if a company makes an effort (and spends the money) on adding clinical doses into their product, they'll definitely show off the exact doses of the ingredients. We've analyzed the key ingredient inside Insane Veinz by SA Nutrition, and their doses - so you know whether it's worth trying out, or a waste of money. 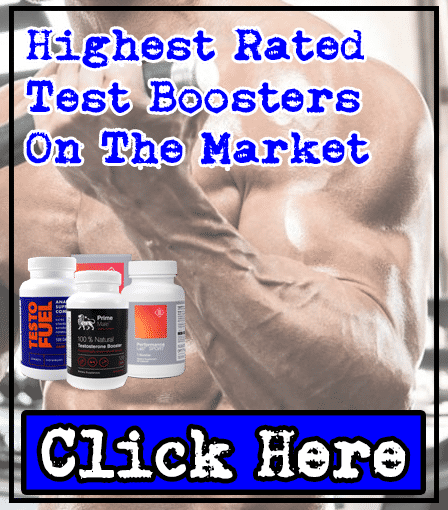 Citrulline Malate - A key pre-workout ingredient, Citrulline Malate can promote intense muscle pumps while you lift weights; which improves both strength and endurance, as well as making you feel and look great. But there's a problem. 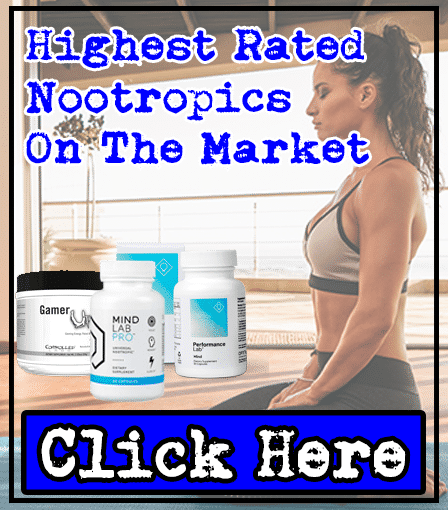 This ingredient's only shown to be effective in doses between 6,000mg-8,000mg - Insane Veinz by SA Nutrition only contains 5,000mg, so it might not provide you with any benefits. Betaine - We believe that Betaine is the worst ingredient inside Insane Veinz by SA Nutrition (and any other pre-workouts it's inside). Why? Because studies have shown that it doesn't provide any benefits. But it's known to cause a side effect; fishy odors in your breath and body secretions (sweat). Glycerol - This is believed to improve your endurance and sporting performance. But there's a problem; there hasn't been enough studies on Glycerol to prove it's effective. Basically, Glycerol is an unreliable ingredient. 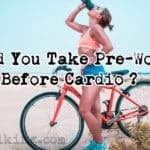 Beta-Alanine - A common ingredient in many pre-workouts, but that doesn't mean it's good. Beta-Alanine can improve muscular endurance, but it's shown to cause paresthesia in doses over 0.8g-1g. Insane Veinz contains 1.5g, so you're very likely to suffer from paresthesia (tingling on skin of your face, chest, hands, fingertips and toes) here. Beetroot Extract - This contains a high amount of nitrates, which raises your ntiric oxide levels - resulting in increased blood flow and better muscle pumps while you bicep curl or leg press in the gym. We consider this a key pre-workout ingredient for one reason - it works. 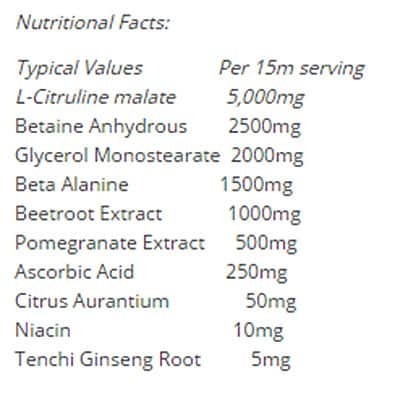 Other Ingredients - The rest of the ingredients (Pomegranate, Ascorbic Acid, Citrus Aurantium, and Tenchi Ginseng Root) aren't proven to work, because they haven't been studied. Insane Veinz by SA Nutrition contains a few ingredients that can cause problems - Beta-Alanine and Betaine. This definitely affects our rating of this pre-workout, as we believe that the best products on the market shouldn't cause any side effects. 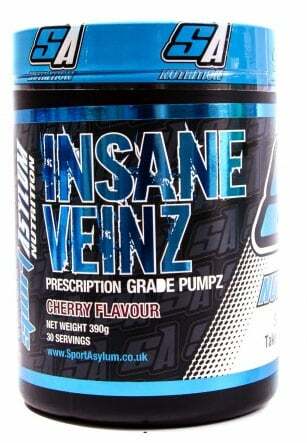 At the price of £29.99 ($38), Insane Veinz by SA Nutrition is competing with some of the best pre-workouts on the market. But is it worth the money? Our Answer: No. After reviewing and testing countless pre-workouts, we believe that Insane Veinz by SA Nutrition can't compete with the best on the market.